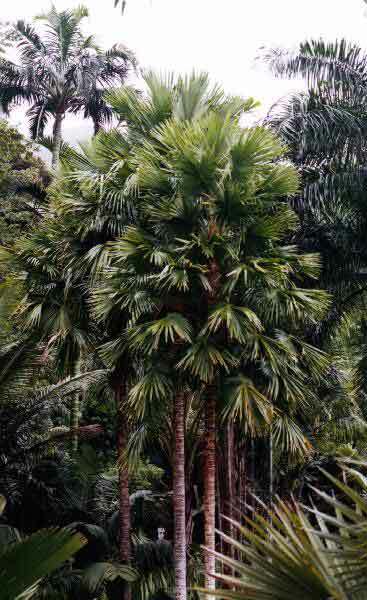 Description: Also known as Anahaw Palm. The distinctive, round, glossy leaves of young plants earn this species its popular name. When young, the leaves are only shallow divided and have softly drooping tips. Excellent as a tub plant when young.